Lupine Adventure Co-operative have a fairly large selection of camping and hiking gear that is available for groups to hire for their expeditions. We charge £20 per tent to cover cleaning, repairs and drying and £5 per stove to cover fuel. Other kit is free if we are talking about a small quantity but we may have to charge a fee you require a lot of kit. If participants or even your school or youth group wishes to buy some equipment then we can advise on suppliers and purchases. We have found that the one piece of kit that the young people most frequently lack is a decent pair of walking boots. While the boots that they walk in are adequate, their feet often suffer from the lack of a quality boot. It is easy to understand why, walking boots are expensive, cannot be easily borrowed and there is the possibility that they will never be used again. Because of this we are amassing a collection of walking boots that can be borrowed for the duration of the program. If some of your group are lacking in boots but don't wish to fork out for some new ones we may be able to fit them out with some. This offer is open to any youth group close enough to pick the boots up from Leeds and is, of course, free of charge. 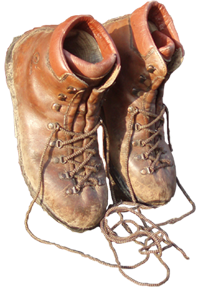 If you have any walking boots with some miles left in them then please consider donating them to us. Even if you don't live in the Leeds area we are have contacts in many areas of the country who will be happy to store your donation until we can pick them up. 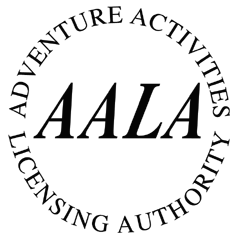 Please get in touch by using the contacts page. A wide variety of walking boots.